The customer will use an IrDA adapter to connect the AED Plus to their computer, and then use software to make the AED complaint. If the AED Plus was purchased after 10/3/11, the Upgrade Kit will be free. Otherwise, the Upgrade Kit must be purchased. If needed, an IrDA adapter can be purchased from the AED Superstore. The Upgrade Kit can be ordered from the AED Superstore. Yes, all ZOLL AED Pro units can be upgraded. The customer will use an IrDA adapter to connect the AED Pro to their computer, and then use software to make the AED complaint. 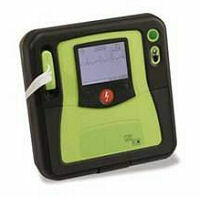 If the AED Pro was purchased after 10/3/11, the software is free. Otherwise, the software must be purchased. If needed, an IrDA adapter can be purchased from the AED Superstore. The Upgrade Software can be ordered from the AED Superstore. Yes, all ZOLL AED Plus Trainer 2 devices can be upgraded. The Trainer 2 must be sent in to the factory to be upgraded. Costs to upgrade the Trainer 2 can be seen here. 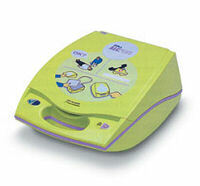 Upgrades for the ZOLL AED Plus Trainer 2 can be ordered by visiting ZOLLTrainer2Upgrade.com. 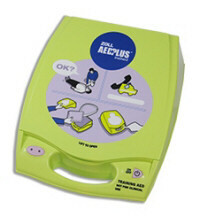 No - the ZOLL AED Plus Trainer has been discontinued. No, the ZOLL AED Plus Trainer cannot be upgraded.